Starbucks Corporation (NASDAQ:SBUX) CEO Kevin Johnson is currently facing his biggest challenge since replacing Howard Schultz as the company’s chief executive a year ago. Genuine leadership in business circles is a rare thing these days. I can count on two hands, possibly less, the number of S&P 500 chief executives who understand what leadership is — and what it isn’t. Great companies rise to the occasion; the recent arrest of two black men waiting for a friend in a Philadelphia Starbucks presents just such an occasion. I believe you can learn from your mistakes. Certainly, what happened in Philadelphia was a big one. To Johnson’s credit, he immediately apologized for the “reprehensible” incident at one of his stores. But Starbucks, being Starbucks, it’s making the incident a teachable moment for all 175,000 employees by closing more than 8,000 U.S. company-owned stores on the afternoon of May 29 to conduct racial-bias education for its staff. It’s a problem that exists virtually everywhere whether we’re talking the U.S. or Canada or Guam. The fact that this incident played out on the national stage required a “proportional response” from Starbucks and that’s exactly what it’s done. Do you honestly believe that Dunkin Brands Group Inc (NASDAQ:DNKN) or Tim Hortons, owned by Restaurant Brands International Inc (NYSE:QSR), would have responded in the same fashion? In January, I explained why I thought SBUX stock was a better buy than QSR. One of the arguments I made was that Starbucks treats its employees far better than Tim Hortons’ parent. “‘A fish rots from the head down’, I stated. Well, you can add Kevin Johnson to the list. Analysts critical of Starbucks’ performance in recent quarters fail to consider the biggest intangible that exists in any corporation: the people. CEOs of publicly traded companies spend a lot of time persuading analysts and Wall Street that their business is the best stock to own because of A, B, and C, reasons. What they forget is that actual leadership from up top is what really matters to the price of a stock because the tone set by the CEO filters down through the ranks to the front line employees. Kevin Johnson is sending a message to its entire workforce that the racial discrimination of any Starbucks stakeholder — employees, shareholders, suppliers, board of directors, customers, the list goes on — will not be tolerated. Like I said, Starbucks will always try to do the right thing, even if it means several kicks at the cat to get it right. There are very few companies who would have handled this egregious situation with as much honesty and contriteness as Starbucks. If you’re a shareholder, you ought to be proud, because adversity brings out genuine leadership, something Kevin Johnson’s got by the boatload. As of this writing, Will Ashworth did not hold a position in any of the aforementioned securities. 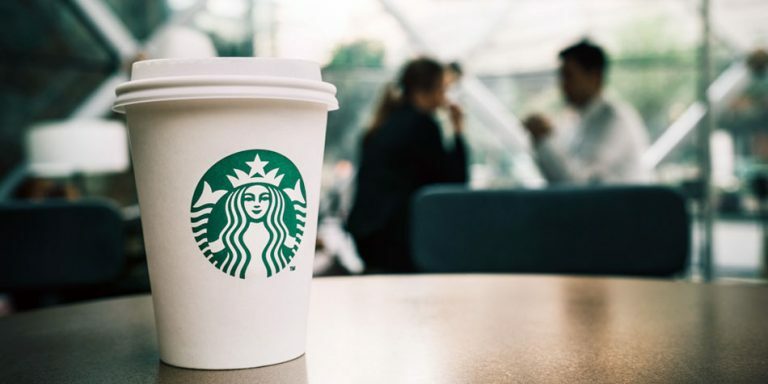 Article printed from InvestorPlace Media, https://investorplace.com/2018/04/starbucks-sbux-stock-do-the-right-thing/.